This blog is about the Arctic,Antarctica and Extreme Northern/Southern Hemispheres. Are New Trends happening at the Poles? Weather Patterns, Charts, Images and Unusual Anomalies may be telling us something! According to the Zetas, the Wobble Effect has now combined with a new Polar Push!! Both poles the sea ice loss is off the charts this month! Seems something has changed? we stated that the hot and cold regions in the Northern Hemisphere were divided into four parts, due to the Polar Push and Bounce Back, and the lean to the Left and Right. Now the increased wobble has created a duality, not the quadrant arrangement of the Figure 8 that had been present since 2004. The weather maps continue to document the daily Earth wobble, showing abnormal heat over the N American southwest and up into Alaska, and abnormal heat through Europe. Both these regions come under more equatorial sun due to the wobble, due to the lean to the left and then to the right. This is distinctly balanced by cold spots in between. Canada’s eastern provinces and the region above Hudson Bay receive less sunlight due this tilt to one side and then the other. Russia’s Far East and the Siberian region above China of course are pushed into the cold by the daily Polar Push, when the N Pole of Nibiru shoves the Earth magnetic N Pole away. Planet X approaches from the south, and the Pole Shift occurs because the S. Pole is pulled north with the N. Pole of Planet X during the passage. This stress is already evident in that many have noted that the Sun is too far south, rising too far to the south, for the time of year. Possible explanations for this are that the S. Pole has been pulled toward Planet X, creating a different tilt, but the constellations seem to be in their proper place. An alternate explanation is that the Earth's plane of the Ecliptic has changed, rising up, putting the Northern Hemisphere into a different slant, and placing the S. Pole more in line with the N. Pole of Planet X, an alignment Magnets Prefer. An Igloolik elder, describes that uqalurait are changing because the earth itself has "tilted" and has thrown off the consistent wind patterns of the past. The earth tilting on its axis is another re-occuring observation that we are hearing from Inuit, which they know because of how the sun, moon and stars have changed in the sky. Indeed, elders simultaneously know the complexities of the cosmos, land, wind and sky. Google has the biggest collection of charts to view/post here! With a stronger Polar Push the bounce back would likewise be more extreme, and the bounce back occurs when the Sun is over the Atlantic. As the wobble continued to get worse, the Figure 8 corrective lean to the right and left also got more extreme. This sets the stage for the current 2017 hurricane season. 4.) Then the bounce back pulls this land back up to the North. The wobble, in short, is churning the North Atlantic in a circular motion. Where this fits with the Coriolis effect, where the winds and water curl up from the Equator in a circular motion, moving clockwise in the Northern Hemisphere, the lean to the left does a direct clash, pushing the storm back in a path toward the US coastline. 7.) as well as a temporary Day of Darkness for the Northern Hemisphere. This is not a static situation. (this will occur more than once, in other words). Dangerous cracks developing across Antarctica’s Brunt Ice Shelf are due to unleash a massive iceberg twice the size of New York City, according to NASA researchers who warn when it breaks, it could destabilize the entire shelf. NASA recently released images acquired by Landsat satellites of Antarctica’s Brunt Ice Shelf, where a rift is visibly slicing through the shelf. Researchers said the crack had been stable for more than three decades, but since, has been moving north at about 2.5 miles per year. The rift is moving toward another fissure, as known as Halloween crack, that is located 3 miles away. Halloween crack was first discovered in 2016, continues to move east, and when the two rifts intersect in the very near term, an iceberg is formed measuring 660 square miles. “We don’t have a clear picture of what drives the shelf’s periods of advance and retreat through calving,” said NASA/UMBC glaciologist Chris Shuman. “The likely future loss of the ice on the other side of the Halloween Crack suggests that more instability is possible." Researchers are puzzled on what drives this process, known as calving, could mean the health of the shelf is in immediate danger. “At worst, this calving could destabilize the remainder of the Brunt Ice Shelf leading to its complete collapse,” Dominic Hodgson, a senior scientist at the British Antarctic Survey, told NBC News Tuesday in an email. Calving is a natural part of the life cycle of ice shelves, but recent rifts forming in the region are unusual. The edge of the Brunt Ice Shelf has evolved since Ernest Shackleton surveyed the coast in 1915, but in the last several years, the speed of its transformation has been accelerated. The risk of the 660 square mile shelf breaking off has prompted safety concerns for researchers working in the area, particularly researchers at the British Antarctic Survey’s Halley Station, a major base for Earth, atmospheric, and space science research typically operates year-round, but has recently closed operations due to unpredictable changes in the ice. If the converging cracks destabilize the ice shelf even further, a massive iceberg twice the size of New York City could soon be soon floating in the South Atlantic Ocean. 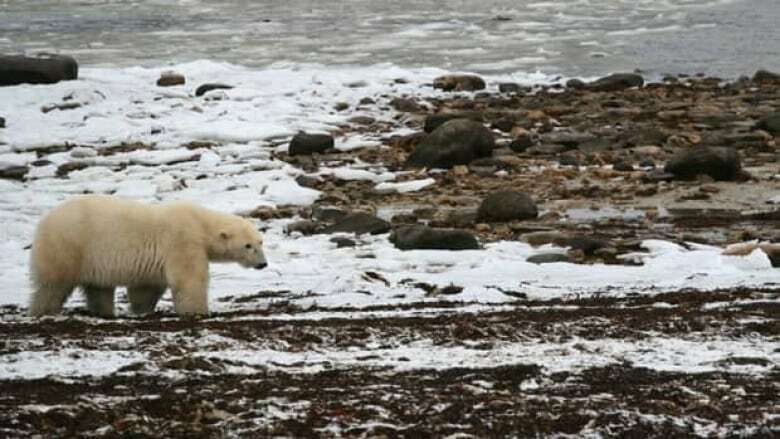 Various ocean areas in Arctic show signs of dramatic decrease in sea ice. Lowest ever? Big Mid-West Arctic "Polar-Push" and "Bounce -Back" vortex this week, wow! -60'sF (-50'sC)!! Lowest temps in US in recorded history for mid USA. *Note - several hours of data were missing prior to -40 reading in 2014, so it may have gotten lower. This phenomenon – which has never been recorded before – has occurred twice this year. The latest readings by the Norwegian Ice Service show that Arctic ice cover in the Svalbard area this week is 40% below the average for this time of year since 1981. In the past month, at least 14 days in the past month have hit record lows in this region.
" It is absolutely incredible and really one of the most intense heat events I’ve ever seen for so far north. " Because of the attention of this post, I’m updating it to discuss the ongoing intense warming of the parts of the Arctic this week into next week and the implications on the mid-latitudes further. The heatwave in northern Siberia is receding, but heat is building in Northern Canada and Scandinavia this week. All the result of very strong, persistent high pressure systems, leading to surface temperatures 15-30 degrees F (8-17 C) above normal. Global Forecast System computer model forecast 7-day mean temperature anomalies for the Arctic. Very anomalous warmth expected over the Canadian Arctic (Nunavut) and Scandinavia and northwestern Siberia during the next week. Also note anomalous heat over much of the Greenland and Barents Seas to the edge of the sea ice extent (waters east of Greenland and to north-northeast of Scandinavian countries). These anomalies, much like what occurred to a spectacular level in north-central and northeast Siberia translate to very warm temperatures for so far north of 60 N.
Arctic and Sub-Arctic Canada appears to go through the most significant impacts Monday-Thursday with temperatures into the above 79 F (26 C) and even approaching 90 F (32 F). GFS Model high temperature forecast for Canada Tuesday afternoon. Temperatures into the 80s F and approaching 90 degrees F (27-32 C) well into the Northwest Territories and Nunavut. At the same time, Scandinavia and northwest Russia will also see significantly above normal temperatures of similar magnitude. GFS Forecast high temperatures Tuesday over Scandinavia. Temperatures above 81 F (27 C) extending north of the Arctic Circle. The pattern remains persistent through the weekend and possibly longer. GFS Model forecast high temperatures for Saturday afternoon. Note temperatures near 90 F (32 C) in far northwest Russia. All of this very abnormal heat over the high latitude landmasses, overspreading the peripheral seas of the Arctic Ocean continues to cause substantial and persistent decrease in daily sea ice volume in the ... Significant reductions are being caused by decreases in concentration of ice within the Arctic Ocean; ice which is also quite thin from months of abnormal warmth, including in the polar night. In addition, a major ocean cyclone struck the Beaufort Sea and part of the Central Arctic Basin over the weekend,bring in heat from the warm Pacific and eastern Siberia and churning up wave action under the influence of strong wind gusts over the open, ice-crusted sea. Visible image of Arctic cyclone over the Beaufort Sea (“C” shaped cloud structure on the left near Alaska). Note the ice cover over the Arctic Ocean and ongoing areas of break up along offshore Eurasia (on the right side of the image). Image from July 7th, Terra satellite. Satellite data showing sea ice concentration in the Arctic Ocean and adjacent areas for July 8th. Research by scientists such as Dr. Jennifer Francis of Rutgers University (recent recorded lecture discussing her research can be found here) have shown that decreasing sea ice can lead to a) progressively weaker jet stream with higher amplitude, slower-moving waves (atmospheric ridges and troughs) capable of producing more frequent extreme weather events (extreme heat, heavy rainfall patterns, etc) for weeks at a time. Also areas of very low extent and open compared to the past are hypothesized to enhance the very ridges of high pressure which produce extended hot, dry weather (research into this still ongoing). These ongoing effects are all a product of very abrupt changes in the Arctic climate over the past 20 yrs, which have to evolved to the point of effecting both Arctic and mid-latitude weather on meteorological timescales (several days or weeks). These pronounced effects on the mid-latitudes leading to more extreme weather events would be expected to continue as the planet continues to warm, with the Arctic warming twice as fast as the planet north of 60 N (and up to 4 times faster north of 80 N) with such extremes having implications on crop yields, water resources and human health in the coming years. This isn’t typically what I would write about in this blog, as I typically cover threatening ocean storms. However, this has implications for the Arctic Ocean and possibly mid-latitude weather. An extreme heat event for this particular region…with high temperatures of greater than 40 degrees F (greater than 20 C) above recent normals…will impact the coast of the Arctic Ocean (specifically the Laptev Sea and Eastern Siberian Sea) Wednesday-Friday. This will generate maximum daily temperatures as high as 90-95 degrees (32-35 C) near the open ocean coast! Wednesday Afternoon (local time) high temperatures along the Laptev Sea in Northern Siberia. Widespread 80s to mid-90s, over 40 degrees above normal as forecast by the Global Forecast System Model. Thursday Afternoon (local time) high temperatures along Eastern Laptev Sea and far western portion of the Eastern Siberian sea in Northern Siberia. Similar temperatures and departures to Wednesday. Friday Afternoon (local time) high temperatures along the far western portion of the Eastern Siberian Sea in Northern Siberia. Widespread 80s to mid-90s, over 40 degrees above normal. 2018 has unfortunately been a prime example of global warming’s effect on the jet stream. And northern Siberia has been getting blowtorched by heat that refuses to quit because of an ongoing blocked pattern favorable for intense heat. Mean temperature anomalies the past 30 days. Normal relative to 1981-2010 baseline. This, in turn, has result in significant erosion of the sea ice in the Laptev Sea and warming of the waters into the mid-40s (5-6 C) in the sea (around 43 F/6 C). Warming in of +6 C (11 F) above normal sea surface temperatures in the ice free area of the Laptev Sea on the left. Also circled is the ice free +6 C area in the Chukchi Sea on the left between Siberia and Alaska, which also had record low sea ice extent this past winter and spring. I would expect sea ice concentration to decline further this week, perhaps significantly as these incredible temperatures strike the region. The numerical models not only indicate the intense daytime heat, but also nighttime lows in the 60s (15-20 C), with 70s (21-26 C) not far inland. Thursday Morning (local time) temperatures along the Laptev Sea. Upper-60s to mid-70s. Incredible! Also, during the daytime hours there will be strong offshore wind blowing hot air offshore out to sea capable of heating waters and destroying more and more sea ice. 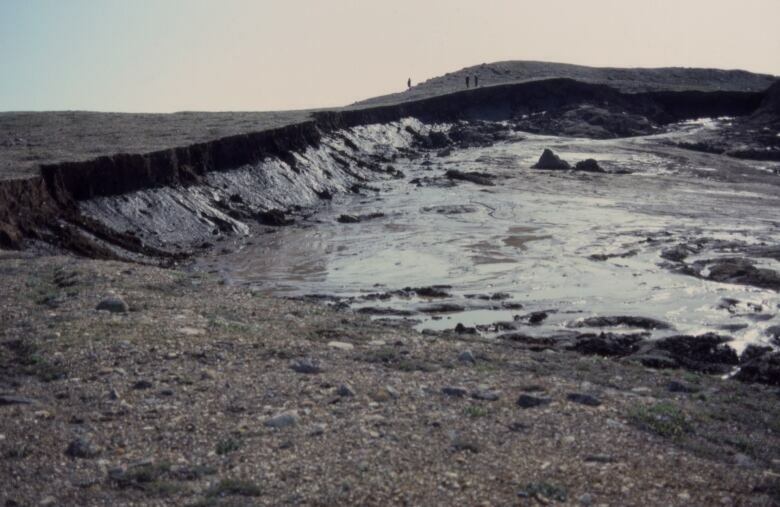 In addition to the immediate impact on sea ice, there is also the impact on permafrost. Or perhaps, what was “permafrost”. More of these kind of intense heat events now hitting the Arctic at the height of summer will result in more rapid destruction of land permafrost as well as heating of the shallow waters just offshore where sub-sea permafrost is located, allowed for increasingly more carbon dioxide and methane to be released into the atmosphere, speeding up global warming and resulting climate change, including effects on storm patterns in the mid-latitudes. According to reports, countries across the globe are experiencing one of the most intense heat events ever seen in human history. As many locations in the northern hemisphere recorded high temperatures in the past week, the Climate scientists are worried. In his latest blog post, Meteorologist Nick Humphrey said that the extreme spell of hot weather amounted to “a true roasting”, melting ice covering the Arctic Ocean, adding, “It is incredible and one of the most intense heat events I’ve ever seen for so far north.” According to Humphrey, even northern Siberia, known for its cold weather, “has been getting blowtorched” with maximum temperatures of above 32 degrees C.
Humphrey made these comments after he interpreted a heat map from the University of Maine’s Climate Reanalyzer. Climate Reanalyzer is a platform to visualise the global climate and provide 10-day forecasts across the world. It was developed by the University of Maine and the National Science Foundation, USA. What is happening around the globe? Castlederg in Northern Ireland on June 29, hit a record high of 30.1 degrees C. Temperatures in Tbilisi, Georgia, and Yerevan, Armenia, rose this week to 40.5 degrees C and 42 degrees C respectively. In the USA, heat levels in Denver, Colorado soared to an all-time high of 40.6 degrees C on June 28. In Quriyet, Oman, on June 26, the lowest temperature over the 24-hour period was a sweltering 42.6 degrees C – making a new record for highest “low”, according to Guinness World Records. Canada’s Quebec province’s largest city Montreal recorded its record high of 36.6 degrees C on July 2. British citizens have been warned to expect ongoing high temperatures as it was announced the country would be seeing the longest unbroken spell of hot weather since 1976. They are expected to match the record set 42 years ago, where at least one weather station recorded over 28 degrees C for 18 consecutive days. While in the UK the heatwave had pushed the mean temperatures for last month up to 14.8 degrees C, making it the third warmest June since 1910. Burlington, in Vermont, recorded its all-time high ‘low’ temperature of 80°F (27°C) within the 24 hour period on July 2. Yerevan, in the previously Soviet state of Armenia, saw temperatures soar to 107.6°F (42°C). Ottawa posted its most extreme combination of heat and humidity on July 1. The islands in Western Europe and Eurasia smouldered in the heatwave. The host country of the FIFA World Cup this year, Russia is also in the midst of a heatwave and several spots across the south of the world’s largest country either matched or exceeded their warmest June temperatures. Mr Humphrys explains how climate change has sent temperatures skyrocketing in the far north of the planet over the past 20 years. This can be seen in the rapid rise in wintertime temperatures. However, now it’s increasingly being reflected in summertime temperatures as well. As a result of such high temperatures, more and more sea ice disappears earlier in the season, leaving the dark blue ocean to absorb more daytime sunlight. This heating of the ocean surface by low albedo (more solar energy absorbed by earth) causes faster warming of the Arctic region as compared to mid-latitudes. This phenomenon is known as Arctic Amplification. According to reports, the experts in climate change and global warming are getting increasingly concerned. Reportedly, Dr Jennifer Francis, a research professor, found that Arctic Amplification is causing an abrupt weakening of the polar jet stream (jet streams are high altitude, fast flowing, narrow currents of air that carry warm and cold air across the planet). The weakening is causing the polar jet to become much wavier, with greater wave ‘ breaks’. These blocking patterns lead the waves to sit in the same place for weeks and promote extreme weather patterns. This results in extreme cold relative to normal as well as extreme heat, very wet, and drought conditions. Mr Humphrey warns that due to the increase in this kind of intense heat events hitting the Arctic at the height of summer, more rapid destruction of land permafrost will happen. This ultimately will lead to more carbon dioxide and methane to be released into the atmosphere, speeding up global warming and resulting in even faster climate change. A heat wave in a region or a country can be considered as an anomaly, however, the scale of this global heatwave is a flashing-red danger signal. Rising temperatures and declining sea ice are driving a “rapid climate shift” in the Arctic’s Barents Sea, a new study says. The research, published in Nature Climate Change, finds that warming conditions and decreasing sea ice volume “may soon” see the Barents Sea complete a transition from cold, fresh Arctic waters to a warm, salty Atlantic regime. The Barents Sea is “at the doorstep to the Arctic Ocean”, the new paper says, roughly hemmed in by Russia and Scandinavia to the south, the island of Svalbard to the northwest and Russia’s Novaya Zemlya archipelago to the east/It is broadly divided into two regions. The waters of the northern Barents are cold, fresh and often covered in sea ice, while the south is supplied with warm and salty water from the Atlantic Ocean, which prevents ice from forming on the surface. The graphic below illustrates this in more detail. On the left-hand side, the Atlantic domain – the southern Barents Sea and beyond – is relatively warm and well-mixed. On the right-hand side is the interior Arctic, where a large body of cold, ice-covered Arctic water sits on a deeper Atlantic layer. The Arctic domain is highly “stratified”, which means the different layers of water stay largely separate. The central section shows the “frontier” region of the northern Barents Sea. This has a shallower Arctic water layer that is usually only covered in sea ice through the winter. But, in recent years, scientists have documented the “Atlantification” of the Barents sea as an increased inflow of Atlantic water has enlarged the area where sea ice cannot form. This has resulted in decline in ice extent on the Barents Sea, particularly in eastern areas. Sea ice plays a key role in keeping the northern Barents Sea in its Arctic climate regime. In addition to the sea ice that forms on its surface, the region receives an “import” of sea ice each year, blown in from the central Arctic by the wind. When the imported sea ice melts in spring and summer, it provides an influx of freshwater to the Barents Sea. This cold, fresh water top-ups the Arctic layer of the northern region, helping to maintain the stratification that works as a barrier to the warm Atlantic waters below. But the amount of ice the Barents Sea receives each year is declining. The average annual area of ice import during 2000-15 was around 40% smaller, on average, than during 1979-2009, the study finds. The decrease in volume of sea ice imported “was even larger”, the study says, at approximately 60%. This is in line with the observed decline in Arctic sea ice cover more widely in response to rising temperatures, the paper says, which reduces “the probability of large sea ice inflows to the Barents Sea, in both volume and area”. Less sea ice means less freshwater being imported into the northern Barents Sea. The chart below shows how sea ice import (blue line) has changed since 1970, as well as the freshwater content (black) of the northern Barents Sea and the salinity of its surface waters (red). All three metrics have shown a steep decline in recent years. This decline in freshwater content weakens the stratification that separates the overlying cold, fresh Arctic water from the underlying warm and more dense Atlantic water. As the two layers mix, it brings the warm, salty water up from the deep, making it more difficult for sea ice to form the following winter. All three layers of the Barents Sea are now significantly warmer than they were in the 1970-99 baseline period, the study finds. The top 60 metres of the Barents Sea is 1.5C warmer in the 21st century than during 1970-99, the paper says, while below 60 metres has warmed by 0.5-0.8C. The salinity in all three layers has also increased during the 2000s. The results suggest that supplies of sea ice from the Arctic are necessary to keep the northern Barents Sea “cold, stratified and sea-ice covered”, the paper says. The findings also point towards a “fundamental shift in the physical environment”, the paper says, where the northern Barents Sea could be “the first [frontier region] to lose the battle against Atlantic water”. The exact timing will depend strongly on the speed of Arctic sea ice decline and the highly-variable inflow of sea ice to the Barents Sea, says Lind. This could either speed up or slow down the transition. Such a rapid change would be a “historically rare” moment, the paper says, which has previously only been documented in palaeoclimate studies of the Earth’s long history. A transition to an Atlantic regime in the northern Barents Sea would have “unknown consequences” for the wider ecosystem, the paper warns. On the one hand, commercial fish stocks may expand north into new areas – and research shows that Atlantic fish species are already entering the northern Barents Sea during summer. However, it is not known how the loss of an Arctic ecosystem will affect Atlantic species. For example, “the capelin – a key prey for several commercial fish species – feed on species that are linked to the sea ice edge,” notes Lind. Close-up of the capelin catch in Forteau, Labrador, Canada. Credit: All Canada Photos/Alamy Stock Photo. And, despite the uncertainties around the timing of the outcome, the study has a “solid base”, thanks to the set of “excellent” temperature and salinity observations and satellite data for the Barents Sea, adds Polyakov. Arctic sea ice extent for April 2018 averaged 13.71 million square kilometers (5.29 million square miles). This was 980,000 square kilometers (378,400 square miles) below the 1981 to 2010 average and only 20,000 square kilometers (7,700 square miles) above the record low April extent set in 2016. Given the uncertainty in measurements, NSIDC considers 2016 and 2018 as tying for lowest April sea ice extent on record. As seen throughout the 2017 to 2018 winter, extent remained below average in the Bering Sea and Barents Sea. While retreat was especially pronounced in the Sea of Okhotsk during the month of April, the ice edge was only slightly further north than is typical at this time of year. Sea ice extent in the Bering Sea remains the lowest recorded since at least 1979.